cruise ship. But fate has something else in store for him. He joined Starstruck 6 and became 3rd placer. 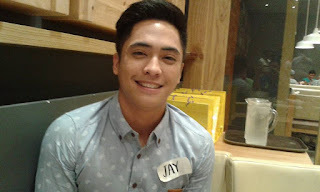 Now managed by GMA Artist Center, he was quickly included in the cast of “Little Nanay”. “It was a great experience as I got to work with veteran stars like Eddie Garcia and Nora Aunor,” he says. “Takot ako noong una but mababait sila, even Ate Sunshine Dizon who gives valuable advice. Now, kasali po ako sa ‘Alyas Robin Hood’ ni Dingdong Dantes.” If given the chance, he’d like to be paired with Kylie Padilla or Julie Anne San Jose. Yasser Marta - Born and raised in Riyadh, he has a Pinay mom and a Portuguese dad. 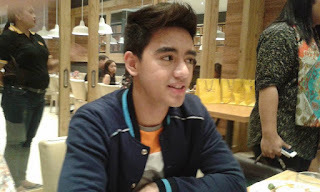 The eldest of two kids, he came to Manila when he was 15 to pursue a showbiz career. He has since made TV commercials, joined a band called Filio, and was part of “Walang Tulugan”. It was when he joined Eat Bulaga’s Spogify singing contest and became a finalist that GMA Artist Center noticed him. He has since tried acting in “Once Again”. 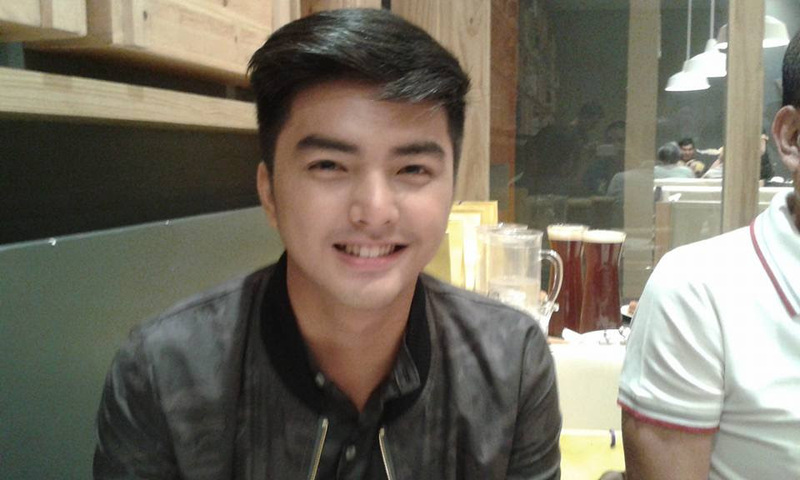 His showbiz crush is Kylie Padilla. Arjan Jimenez - He stands 5’10” and turns 21 on October 21. He was discovered when he became a semi-finalist in Starstruck 6. He has joined a band before, called Snapback, but he’s glad to be part of One UP now. A member of Iglesia ni Kristo, he is taking up marketing management at New Era College. He has tried acting in an episode of “Magpakailanman” with Jeric Gonzales and is now also part of the cast of “Alyas Robin Hood”. 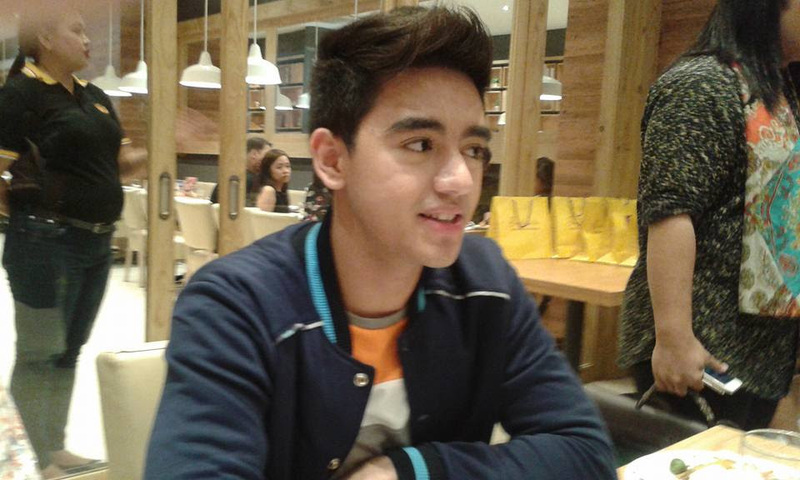 His showbiz crush is Barbie Forteza. join showbiz again by joining Starstruck 6 where he made it as a semi-finalist. Of Spanish descent from his mom’s side, he’s the eldest of three kids. 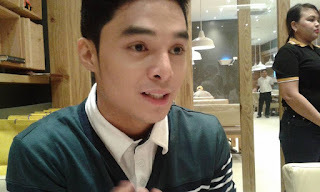 He’s now under contract with GMA Artist Center and stays alone in Manila. “I really miss my family,” he says. “They’re all in Cebu”. We’ll give you the other guys next time. Meantime, in partnership with Boardwalk, they’ll do a series of shows starting this August. They will do a show at the Baliuag Gymnasium this Saturday and you can watch them perform on “Sunday Pinasaya” this Sunday. Watch out for their later shows in Bulacan, Dagupan, Laguna, Cebu and Davao. To get updates about One Up and their skeds, follow them on OneUp2016 on Facebook and Instagram.